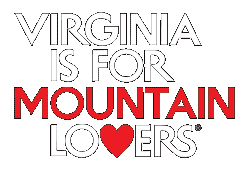 Giles County, VA– The past two weeks in Giles County have been a flurry of fun, creative activity. 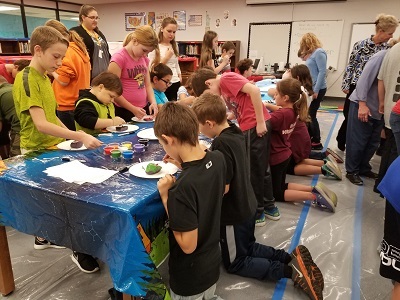 The Giles Early Education Project (GEEP), Giles County School Board, and faculty and students have engaged in a massive and ambitious public art project. 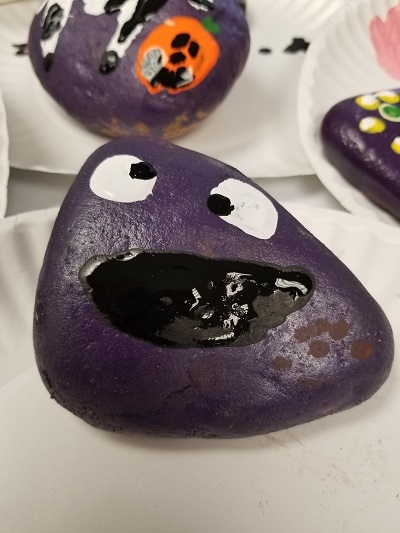 Lynn Hill of GEEP shared in an email that their plans are to have every child ages 4 through the 7th grade participate in the painted rock initiative. Since November 2 GEEP has delivered buckets of rocks to all three elementary/middle schools in Giles as well as the early learning centers. 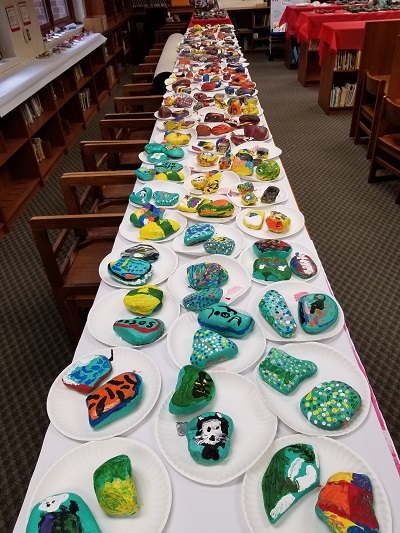 The students and teachers, along with family and supporters have been creatively painting the rocks. The task from GEEP was to “paint a rock that in some way represents who they are.” The collective creative energy has inspired the School Board, staff, volunteers and others to join in the painting. The GEEP members will collect all rocks on November 10 and shellac them for longevity. The group, made up of a cross section of the Giles community who hope to improve and provide avenues for positive development for young children in Giles will then install the rocks in a massive public art project sometime in the near future. All partners hope that the project will meet an outcome of not only celebrating ‘me’ but also ‘us’ as a community. The Giles County community and educational providers continue to inspire learning and creative solutions for educating our youth. For more information on this project please feel free to reach out to Lynn Hill at 540-921-0001. You are also welcome to reach out to the Giles County Tourism Office at 540-921-2079.